Step out into a park with a lush, green setting by the waterfront, sprinkled with enticing shops and cafes. Fence-less, non-gated housing to facilitate pedestrian connectivity & to promote community interaction. With an Improved beachfront & a proposed lagoon. The new waterfront attraction, you can take to the water, canoeing, swimming and other water sports at your door steps. Kallang Riverside condo, One and Only FREEHOLD among all future 99 years leaseholds. Rare or almost not possible to find freehold new launch in a key growth area, likewise for waterfront destinations across Singapore. 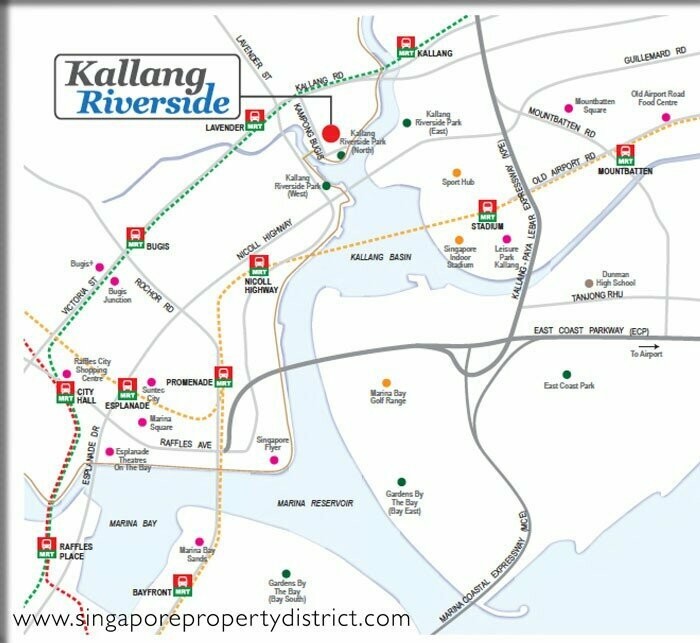 At Kallang Riverside, it has waterfront + key growth area + freehold. The next land parcels will all be sold through Government Land Sales (99 year lease), as seen in the URA Masterplan. HIGH RENTAL YIELD & DEMAND for this area as this is identified as a key Growth Area in the URA Masterplan with major transformation for projected 4000 new homes, 3000 new waterfront hotel rooms and 400,000 sqm of office, retail and entertainment facilities. The rare opportunity to buy BEFORE the transformation takes place. Thus, the chance to buy Kallang Riverside BEFORE the full impact of the transformation is factored in. Kallang is located in Central Singapore – and the neighbourhood has been seeing many exciting F&B concepts and businesses pop up in the vicinity. Check out our list of cool things to do if you’re planning to live in this district! The area at Kallang Riverside will be a fence-less, conceptual by URA to promote more interaction and to blend into the concept in the park. Over 50 facilities including two 50m lap pools, spa pools, tennis court, 9 social zone, 6 shops and a childcare centre. 1st storey: General area approx. 4.90m. Certain main entrance areas reach up to approx. 20.80m. 2nd storey: Approx. 4.90m for communal deck and function hall. 5th storey: Sky Terrace-Height approx. 4m (floor to ceiling). 6th storey: communal decks: Approx. 3.50m. Video & Audio intercom for all the units Card access will be provided for the building. Whether card access to be provided to designated floor will only be decided later by MCST. A great alternative to the CBD, a mere 5 minutes drive away. Short drive to Orchard Road too.